Jakarta is the capital and largest city of Indonesia. The population of the Jakarta conurbation is over 28 million, making it perhaps the largest metropolitan area in the world in terms of inhabitants. Established in the 4th century, it became an important trading port for the Kingdom of Sunda, and was the capital of the Dutch East Indies under the name of Batavia. 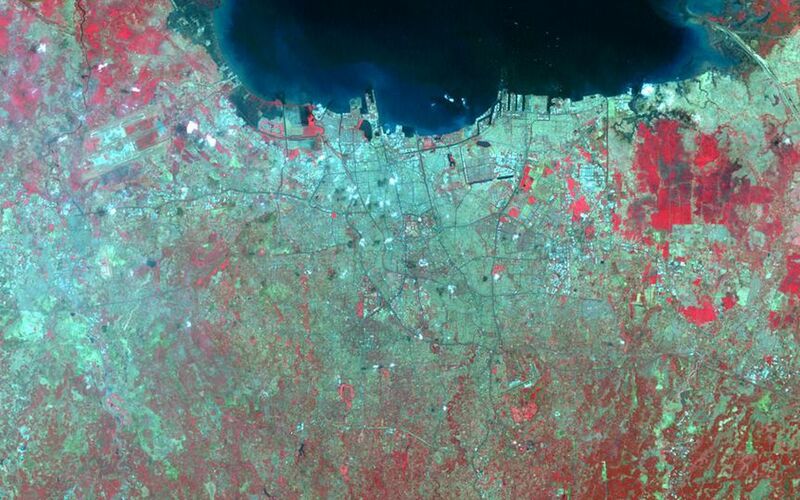 The rapid growth of the city is illustrated in the three satellite images. 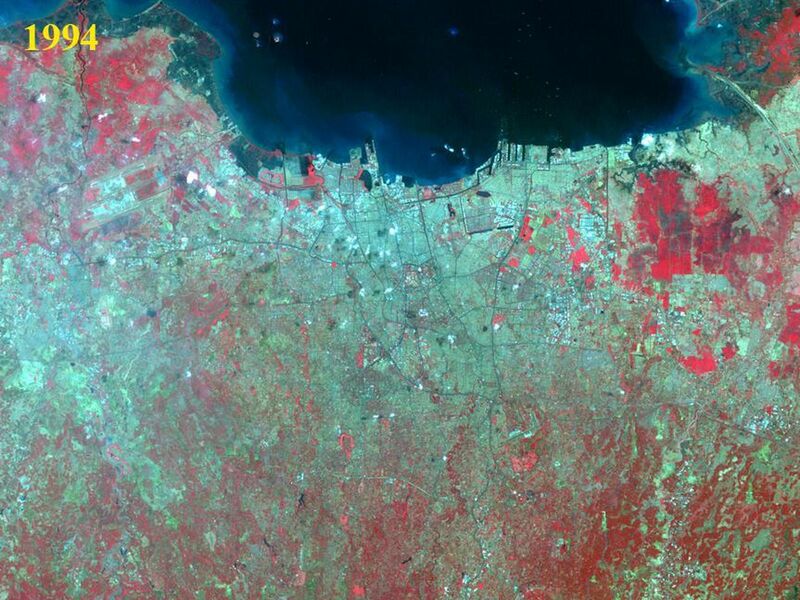 In 1972, Landsat MSS captured an image of the city with about 11 million inhabitants. By 1994, the Landsat Thematic Mapper saw a city of 19 million. And in 2006, ASTER imaged a city of 25 million inhabitants. Each image covers an area of 40 by 50 km, and is located at 6.1 degrees south latitude, 106.8 degrees east longitude.